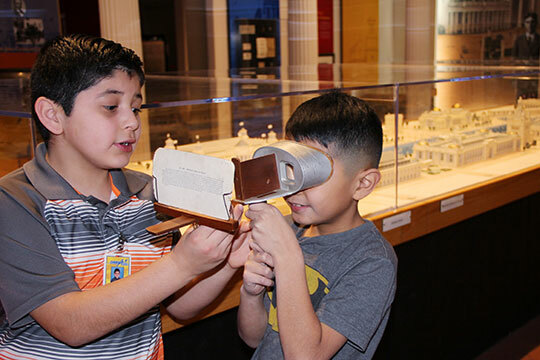 The Durham Museum offers a variety of summer workshops that are unique, fun and educational. Summer workshops are available for groups of ten or more children, ages 5-12. All workshops are customized to the size of your group. Workshops are ideal for summer break programs, daycare and other summer camp programs. In order to accommodate the scheduling needs of all workshops, we will customize the arrival and departure times for your group. Please plan on approximately 45 minutes per group of 25 students when planning your workshop. All workshops are $6 per child. The museum admits one staff member or teacher per ten children at no additional charge. Reservations should be made at least two weeks in advance. Join us for the world’s first exhibition showcasing the newly-revised tyrannosaur family tree. While the most famous member of this family was the mighty T. rex, tyrannosaurs came in all shapes and sizes. With a dramatic array of fossils and casts of tyrannosaur specimens, Tyrannosaurs – Meet the Family provides a snapshot of dinosaur life. Following an interactive tour, students will enjoy classroom activities where they can practice excavation and explore the massive size of these ancient creatures. All Aboard! 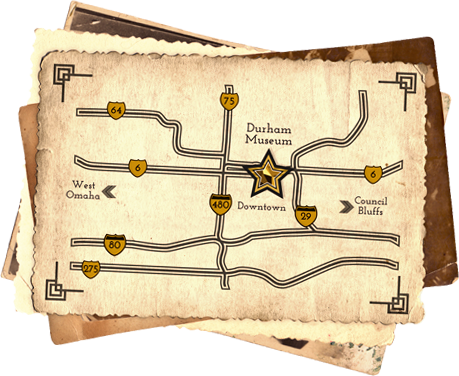 What better way to spend a summer day than exploring The Durham Museum’s train cars? Following this trip back in time, students will visit the museum’s newest addition, The Platform, an interactive STEAM-based experience for learners of all ages. Can you help us solve the Case of the Cryptic Curator? An important artifact is missing, and our team needs you to help us decode the clues and recover the item! Can your group solve the case before time is up? Find out during our History Mystery. What do an index card, a bottle of dish soap, and an egg have in common? They are all items you can find around your house and items you can do amazing scientific experiments with! Break out your lab coat and join us to understand why science matters! For additional information, call the Education Department at 402-444-5027 or email education@durhammuseum.org.